Scrambled over the last couple of days to get the fall patch prep done. After a descent stretch of warm weather I got the greenhouse up, but didn't have time to work the soil. Weather is going to start turning tomorrow and I needed to get the soil worked and more importantly get the cover crop in. To get the cover crop seed going I used a trick that I've used for years. Winter rye can germinate in almost any temps above freezing, albeit slowly. Temps will be hovering around freezing the rest of this week, so I put the rye seed in a bucket of sand 24 hours before planting, added warm water and some humic acid and then put the bucket in a warm place. I then sowed the seed today. I learned from experience that you don't want to go more than 24 hours because those seeds germinate quickly and you can end up with clumps of sand bound together with roots. This fall I'm putting in about 50% more compost then I did last year. I'd like to get my organic matter higher. I feel like my soil loses moisture and nutrients too quickly and the organic matter will help with both. 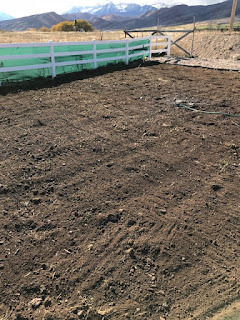 Along with the compost I added soil sulfur to help drop the pH, humic acid to help make the nutrients in the soil more available and nitrogen tohelp break down the organic matter in the compost over the winter. A few things I noticed when working the soil. A descent amount of worms. Exactly years ago there were zero, so the soil food web has been building nicely in the soil. 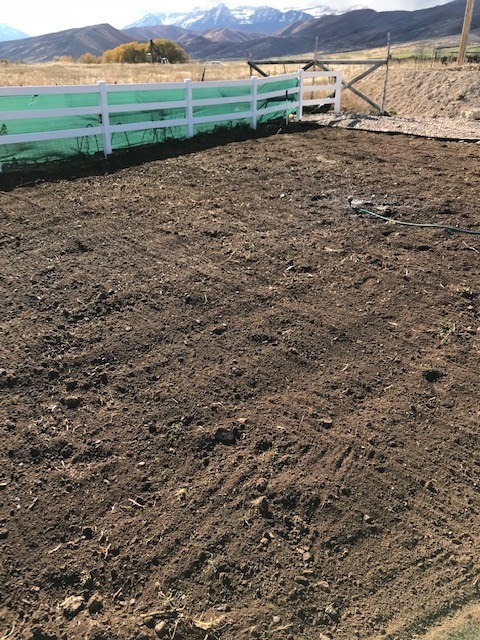 Also the tilth and looseness of the soil has improved. Two years ago it was rock hard and now it is looking more like nice garden soil. The greenhouse soil will get worked over the next couple of weeks. No mud or snow worries in the greenhouse and it will stay much warmer in there all winter long. If you have any experience with cover crops in greenhouses over winter please share any advice you have. Not sure how to water it and keeping it under control where it doesn't grow too much over the winter. 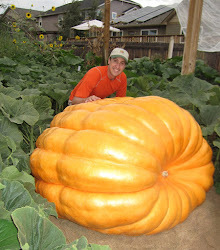 - Deer love to eat pumpkins and sometimes will nibble on vine tips. - A fence of 5 feet is sufficient to keep deer out if they can't see what is on the other side. If it is a chain link fence or split rail then you have to go taller. - I have a split rail type of fence on one side. Was surprised to see that the deer don't jump over it, but crawl under it. They can get low and crawl more easily than I would have thought.